So I might have done these yesterday but didn’t want to overload you guys with posts. I had about half a cup leftover dulce de leche from yesterday’s awesome Hard Cider Cupcakes and I wasn’t going to let it go to waste… well, that would be impossible. Actually, I needed to make something with it so I could share it with my roommates otherwise I would have ended up eating it out with a spoon. It’s too good. So yeah, I definitely don’t need all those calories. Everything is good in moderation, I always say. Moderation is also quite hard to keep when you are exposed to deliciousness. 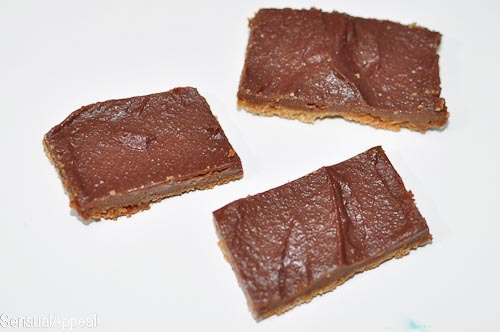 So I found this recipe for chocolate dulce de leche bars which calls for exactly the amount of dulce de leche I had left over. Plus chocolate? Can’t go wrong with that. I decided to give it a try. I do have to say mine definitely did not come out looking like the picture on that website even though I used a smaller pan than they called for. Weird. Therefore, I recommend using a pretty small pan for this recipe. I don’t know what sizes pans are but probably 6″ by 6″ or something like that would be good. Just a guess. I’m still new here, alright? 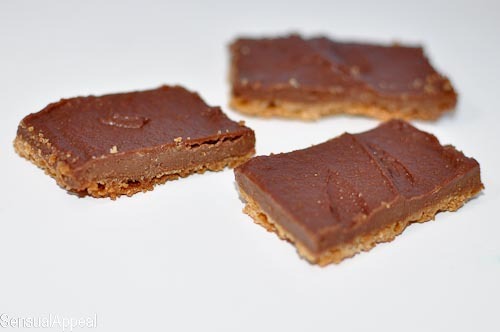 These might not be the most attractive bars out there but they taste good. Beauty isn’t everything, people! 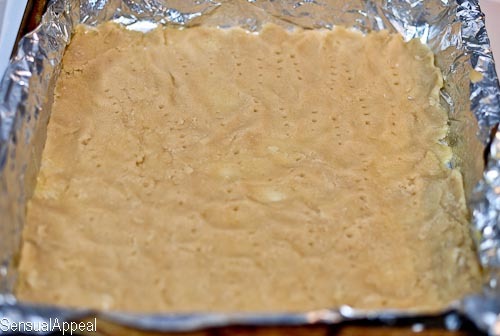 Preheat oven to 375 degrees F. Spray a square baking pan with oil. 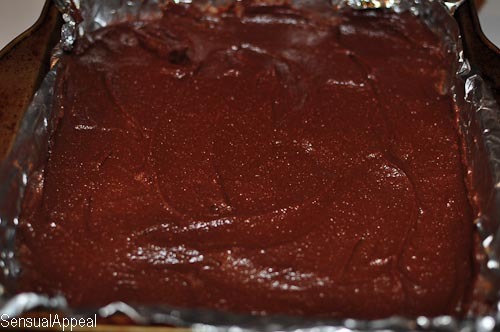 Line bottom and 2 sides with parchment paper (I had none so I used aluminum foil), leaving an overhang. Spray parchment with oil. Blend together butter, brown sugar, vanilla, and salt in a bowl with a fork. 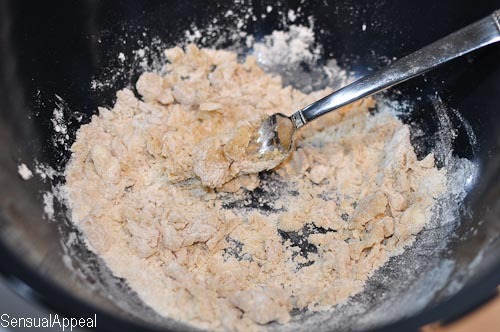 Sift in flour and blend with fork until a soft dough forms. Spread dough evenly in baking pan using an offset spatula or back of a spoon, then prick all over with fork. Bake until golden, about 15 minutes, then cool completely in pan on a rack, about 30 minutes (to speed this up, I put it in the fridge). 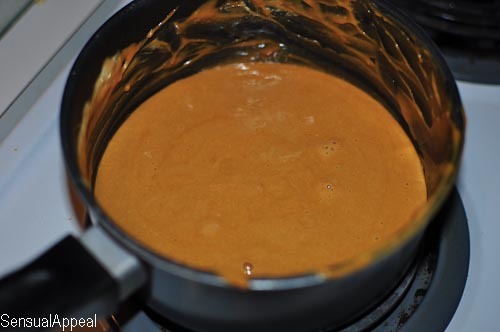 Bring cream and dulce de leche to a simmer in a small heavy saucepan, stirring with a wooden spoon until dulce de leche has dissolved. Whisk together yolks in a bowl, then slowly whisk in hot cream mixture. Return to pan and cook over medium heat, stirring constantly, until pan is visible in tracks of spoon. 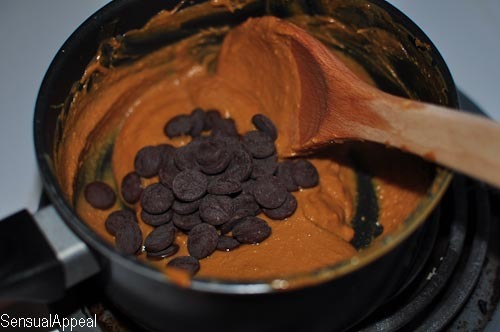 Remove from heat and whisk in chocolate until melted. Run a small knife around edges to loosen, then transfer to a cutting board using parchment. Cut with a hot clean knife (dip in hot water and wipe clean between cuts) into bars. Chill until ready to serve. I stuck them in the fridge for a few hours and then left them out for my roommates to eat up. Enjoy! I really need to learn more about food photography. It’s so hard. I gotta get some props and stuff, I think. And learn techniques. Any pointers? Websites to check out? 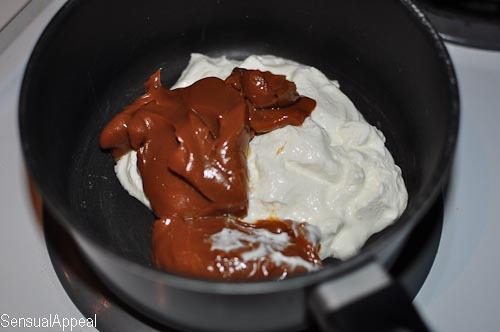 What do you love to use dulce de leche with? 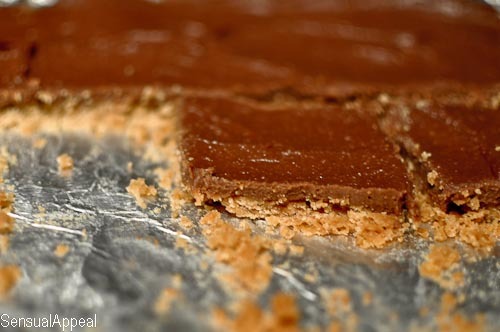 Do you use dulce de leche often? 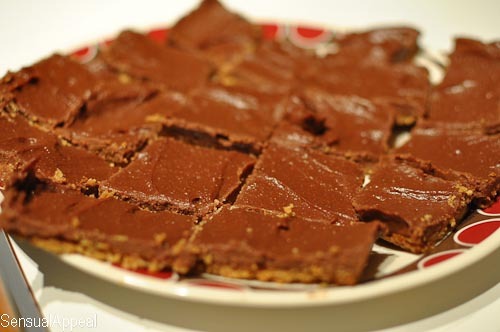 I think your squares turned out great! They’re so pretty and I like that they are delicate and not chunky.. that would mean I could eat more than one, right;) Photos take a while to get the hang of it.. I read Plate to Pixel (a book written by Helene Dujardin). She has a blog called Tartlette which I adore and get ideas from. Good luck!! Thank you for the kind words and for stopping by. Wow, her blog really is awesome, I might have to check her book out as well. Definitey in need of some of that. I just ate 2 more bars, they are too good haha. These look yummy! 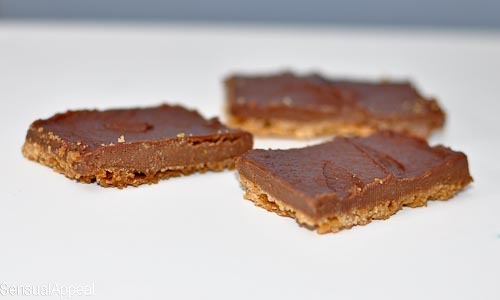 Thanks for sharing them at Talking Dollars and Cents Sweet Temptations.